For the second year in a row, I was hired to create and oversee all graphics & visual identity for Photo Shanghai, Shanghai's first international art fair solely dedicated to photography. Organized and directed by the World Photo Organization (WPO), the show ran from September 11th - 13th at Shanghai Exhibition Centre (No. 1000 Yan'an Rd). All the graphics were intended to be simple and stylish while not drawing attention away from the displayed photographs. We use black as the main color in contrast to the photos. I utilized several textures to compliment the designs, which were quite dark and dense. 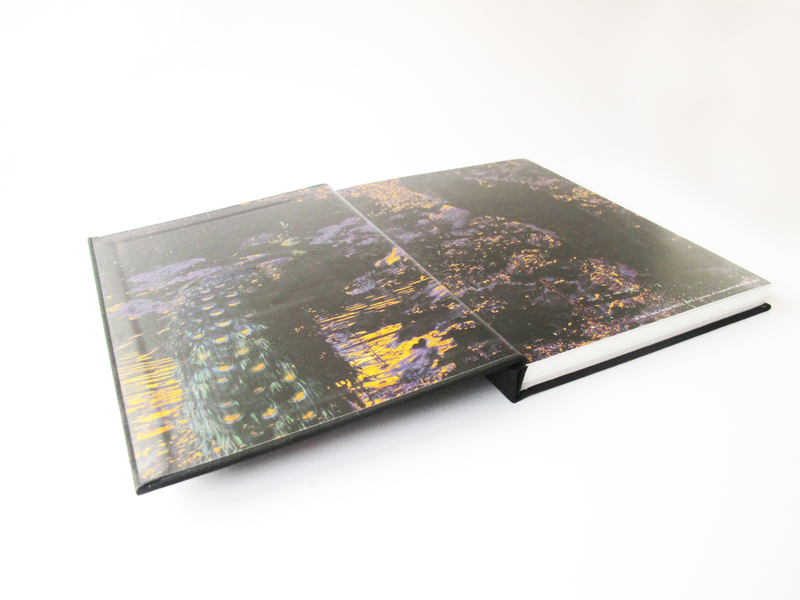 We designed an elegant envelope with glossing effect generating a black on black effect. When you open the card the inside contains a very striking image in contrast with this sober and elegant outside. The VIP Card blends with the background email creating an elegant outcome. The Package contains a program and invitation letter from the fair director. Envelope has the logo in glossed effect, black over black. The inner card has one of the photographes exhibited at the fair. 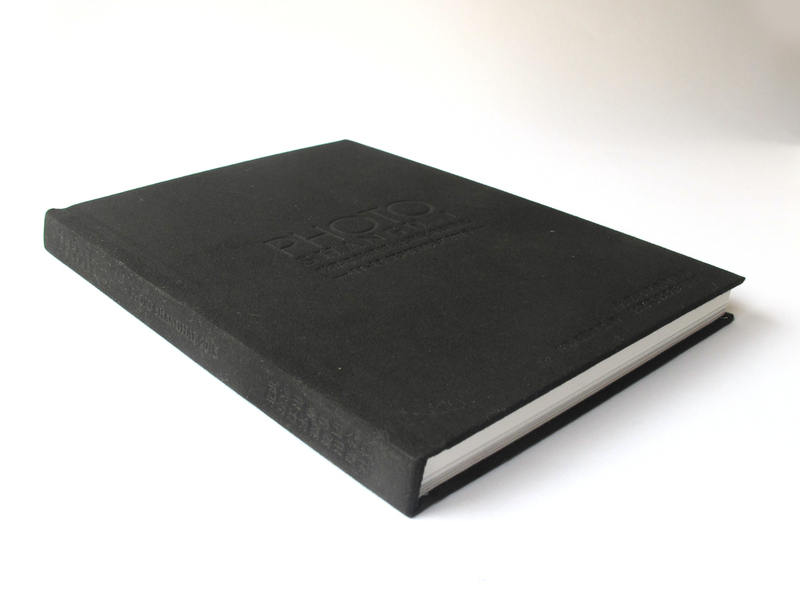 Black cloth cover with emboss logo to continue with the identity for this year highlighting black against photography. 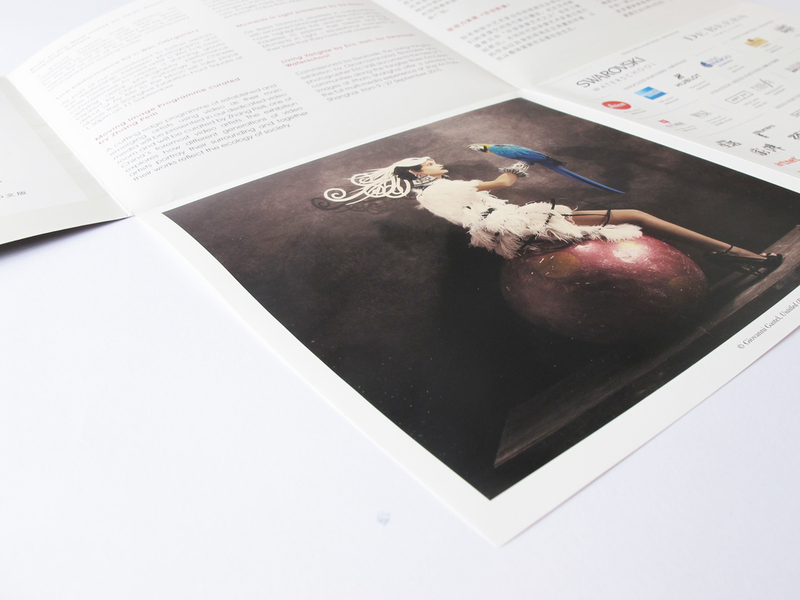 The first inner spreads have the signature photograph used in the way finding and other printed materials. The inside spreads have a very simple layout but main titles are Silver Pantone. The flyer has the characteristic stripe in the middle that is used in other materials. The texture behind is a photograph exhibited at the fair.